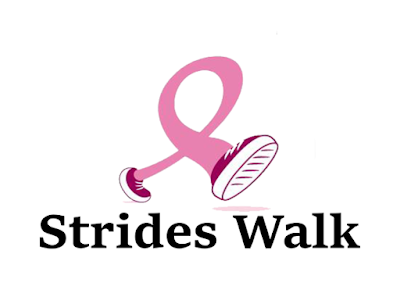 REGISTRATION IS OPEN FOR THE 2016 STRIDES WALK! It’s time to break out those walking shoes and join us as we Make Strides during the 2016 Strides Walk! Everyone is welcome! One lap or as many as you can, Sign up! Help us take Strides Against Breast Cancer in SL! We would like the walkers to reach out to their friends in SL and if you like real life to get sponsors for your walk. The sponsors would agree that for every lap you walk they will pay a certain amount to you as a donation. An example of how to request sponsorships will be given to each registered walker. The more sponsors you have the more you can raise for MSABC!! Special awards will be given to top fundraisers. Awards will then be given out at Wrap up on Nov. 5th. If you have any questions, please contact Leala or Sandie.